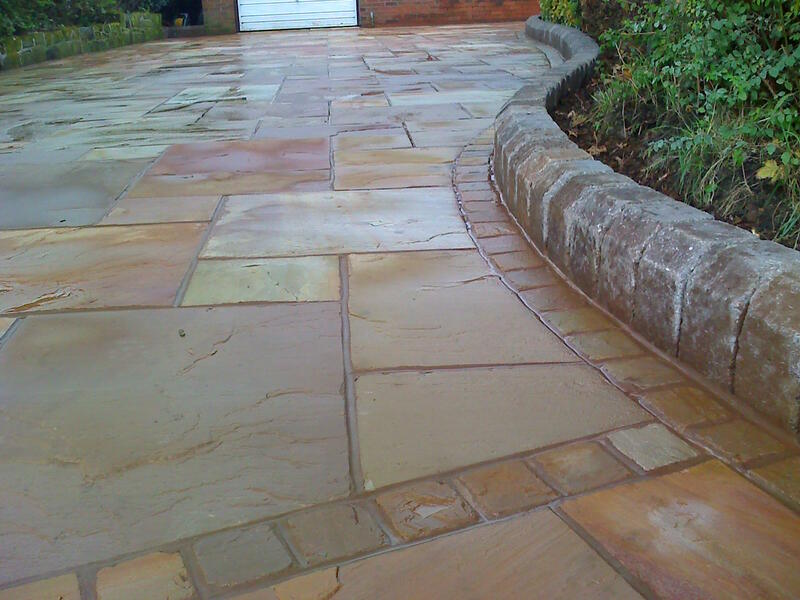 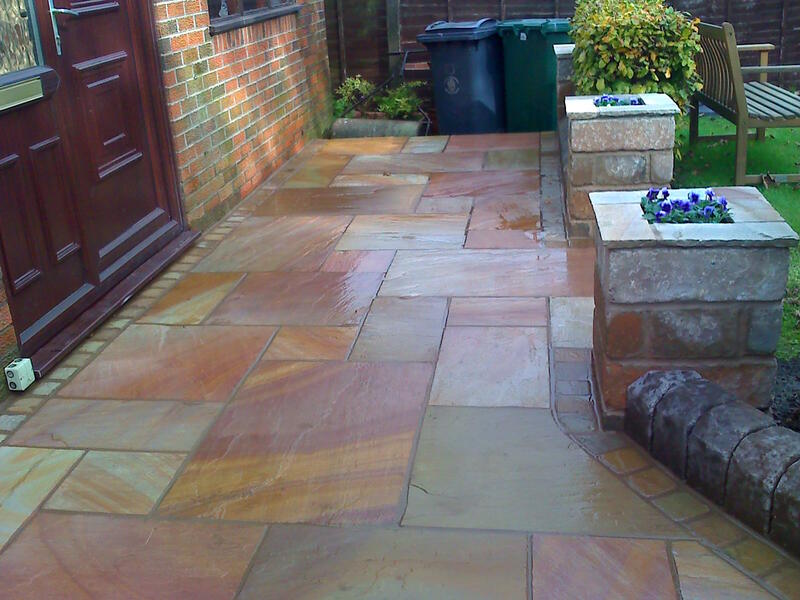 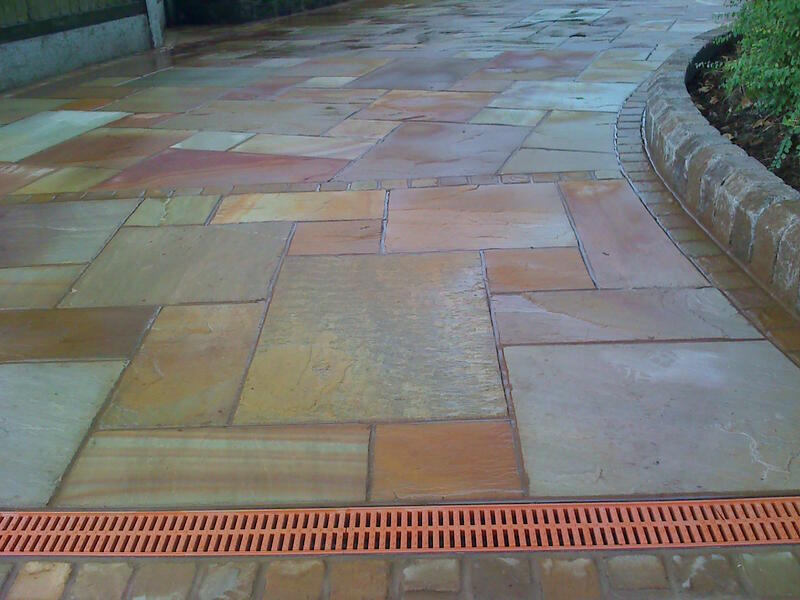 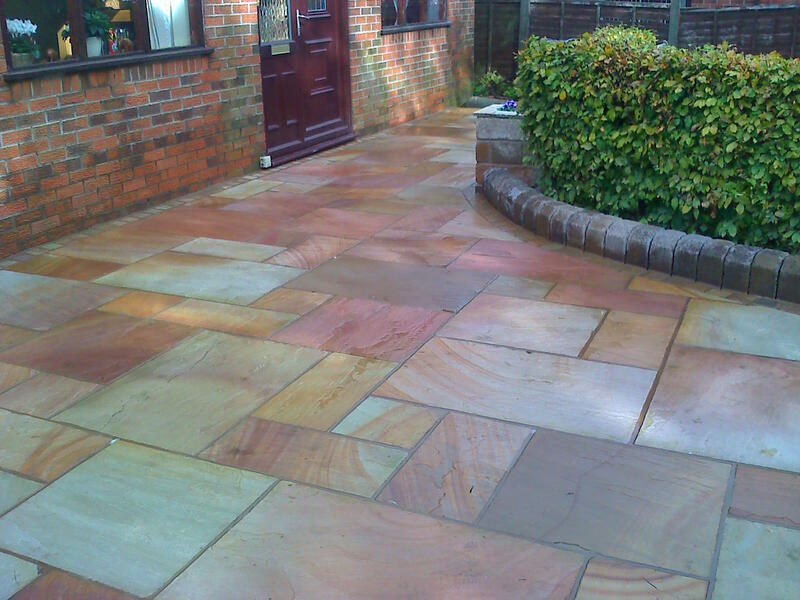 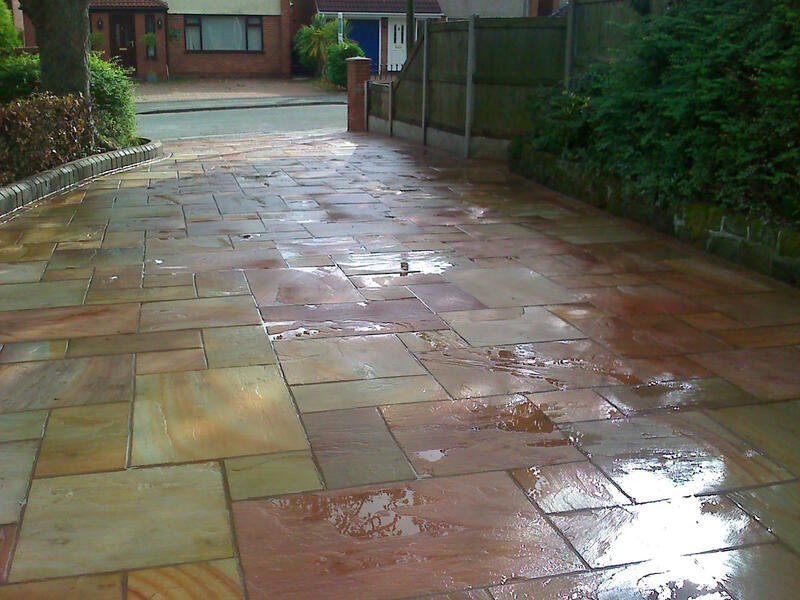 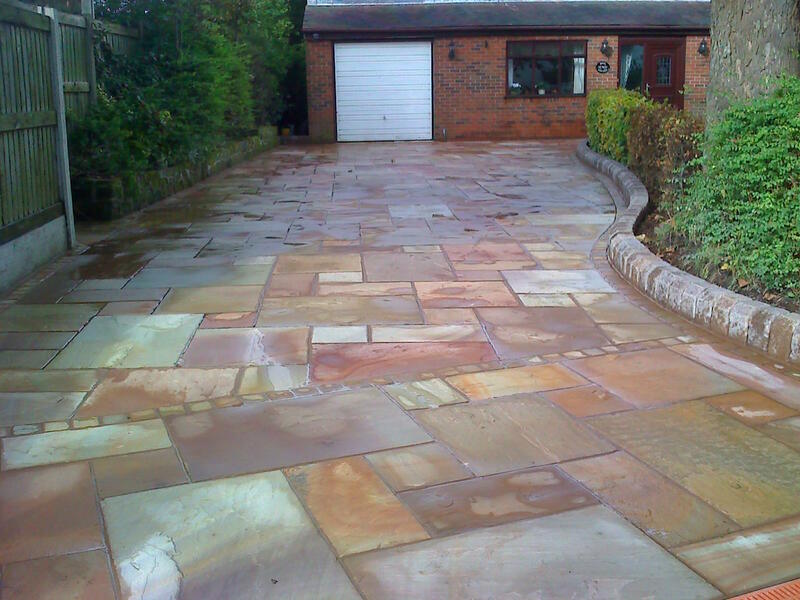 A fantastic new driveway in Brett's Sandstone in Sunrise, with sandstone setts to match. 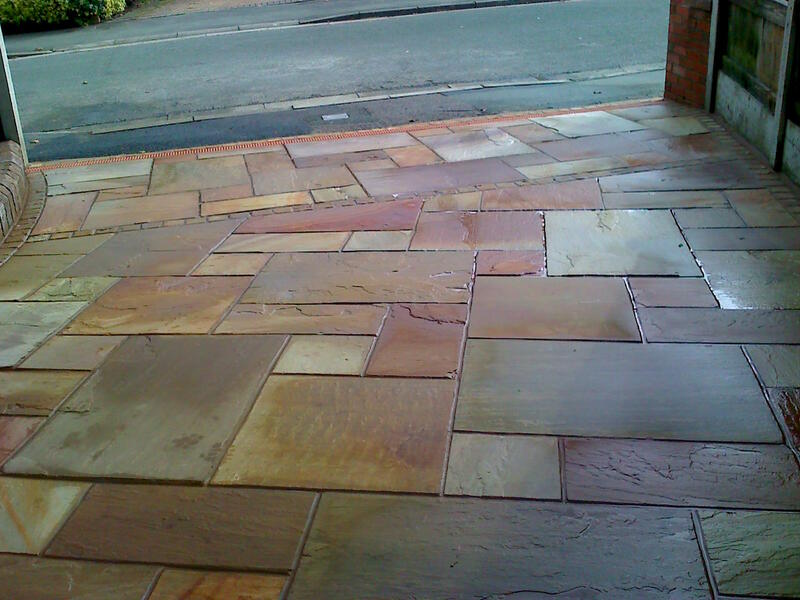 Antique kerbs match the new planters by front door. 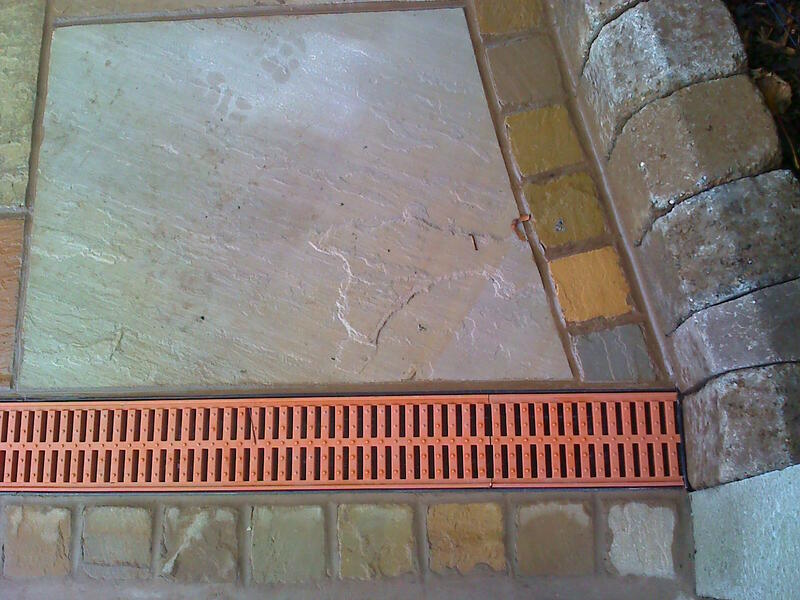 A Linear Drain connects to a specially constructed soakaway in front garden which is required to comply with SUDS regulations.